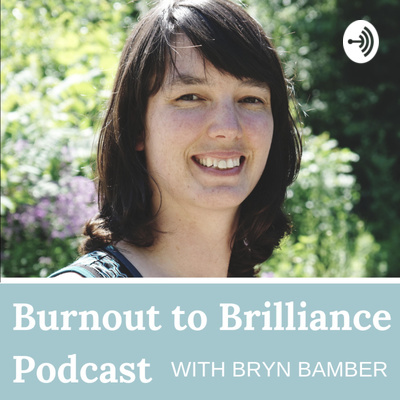 How to go from stress and overwhelm to a place where you love your work and your life with Bryn Bamber, Burnout & Intuitive Business Coach. Learn about anxiety, what's holding you back, perfectionism and how to overcome it all with a combination of neuroscience, spirituality and intuition. And learn how to build a business in a way that's aligned with your spiritual path. Especially great for highly sensitive people, introverts, INFJs, witches and those whose spiritual path is their centre. In this episode amazing body psychotherapist, poet and marathoner Jeremy Fulwiler shares: - how to de-stress your holidays - how he personally overcame burnout and overwhelm - the biggest challenge he overcame on his journey to becoming the amazing artist and psychotherapist he is today Don't miss it!! You can check out Jeremy's new book of poetry at jeremyfulwiler.com and you can get the Decrease Stress Checklist at brynbamber.com/relax. Learn about what recharges you so you can face any money stress you might have. When you're stressed, it's hard to look at your situation from a centred and practical space. This episode leads you through an exercise that will bring you back to centre and show you what you need so you can face your money stress in a calm way. The number one cause of burnout it not what you would expect. It's not too many things to do or a terrible boss. It's something else. You'll be surprised and it will make total sense at the same time. 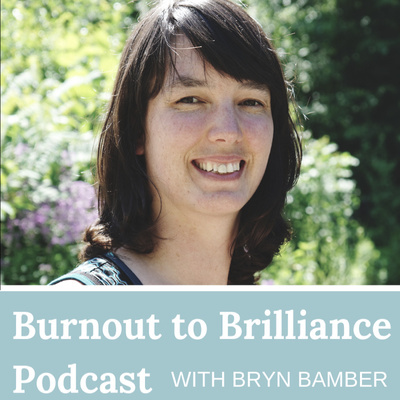 Listen in to learn what causes burnout and learn the simple steps to overcome it. What’s stopping you from going for your dream?